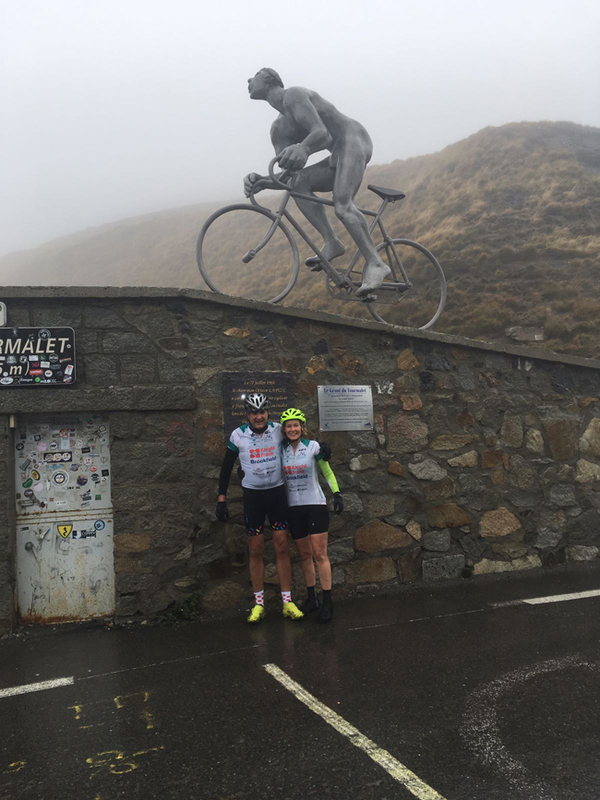 The Coast to Coast for Cameron Team made it to the top of Tourmalet. Day 1: The group left Biarritz and met torrential rain for most of the day but still managed to climb a very impressive 2,000m. They calculated that between the 17 riders, 105,000 calories were burned on their first day! Incredible! 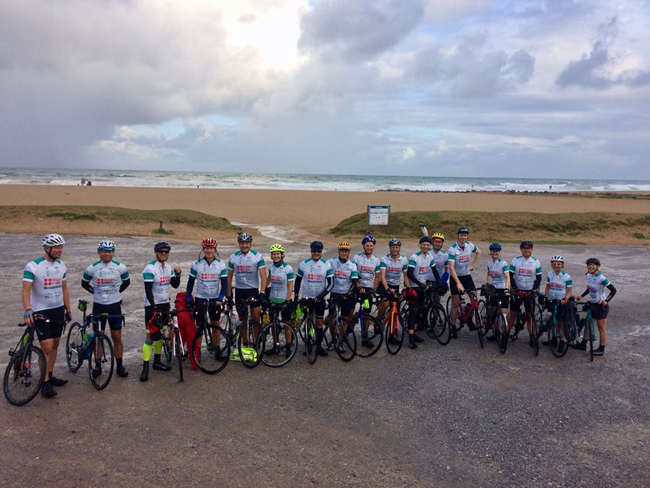 The Team assemble in Biarritz ahead of the challenge. 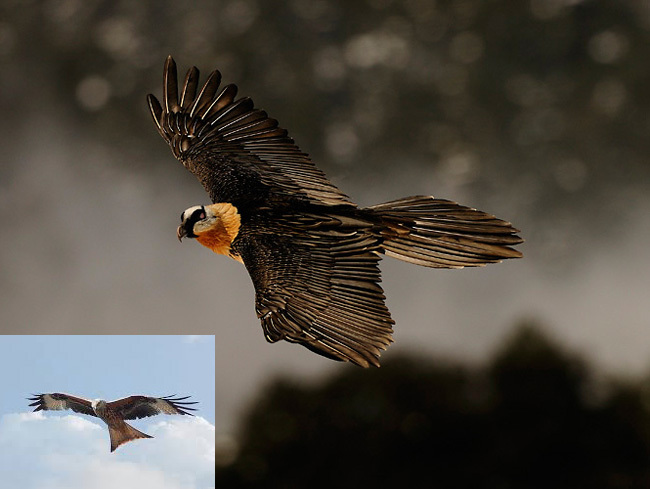 Just some of the birds seen during their ride: osprey and kites. Day 2: Having read all about the South of France and the Pyrenees, every guide book had talked about warm days and cool nights, a beautiful micro-climate had been promised. So they can definitely be excused for thinking they had never left the UK ! No one had mentioned non-stop rain, or was that in the small print they had somehow missed? But luckily they remained optimistic and cheery and included a few more hot chocolate breaks to warm them up and keep them going! A new route via Lourdes was calculated as the Col d’Aubisque was just one Col too many in this torrential downpour. At the top of the Tourmalet with 1910 Tour de France winner Octave Lapize. Taking a breather after a gruelling 8 miles of climbing the Col d'Aspin. 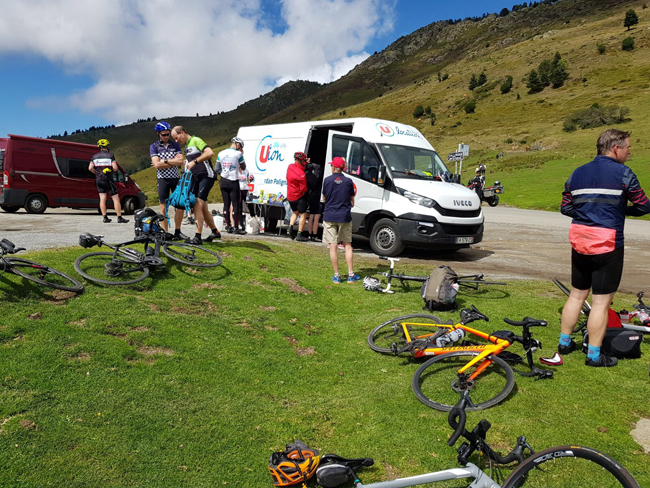 Day 3: It was a day of two halves - a cold and rainy start with the achievement of making it to the top of Tourmalet, followed by a delicious picnic and finally, blessed with some sunshine! Two more very challenging Cols and finally some wonderful views, with sunshine, of the breathtaking Pyrenees. 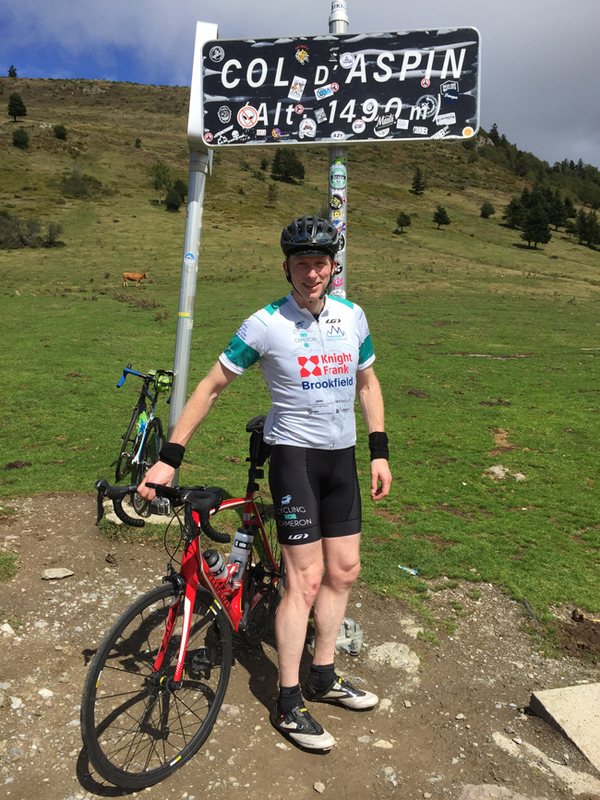 Please “relive” the route they cycled today, an astonishing 95km with just under 3,000m elevation.What a great way to appreciate just how far and high they have cycled in just one day! A picnic at the top of the Tourmalet provided a welcome break. Please support this group of exceptional friends. If you have not already done so, please donate and help them cycle even harder to finish and arrive in Argèles-sur-mer on the Atlantic coast this Saturday! Every pound is so much appreciated and makes such a huge difference. 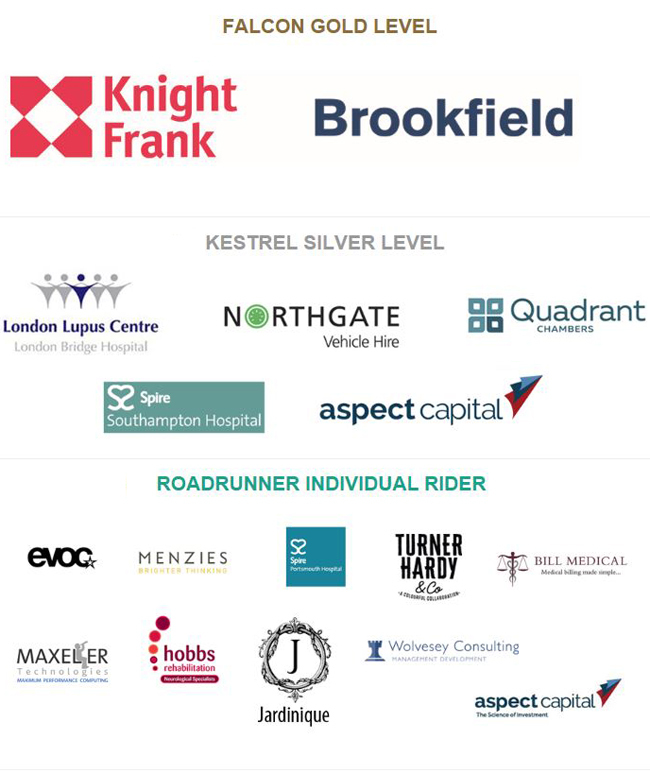 Every penny raised goes directly to the Trust as all costs are borne by the cyclists themselves. 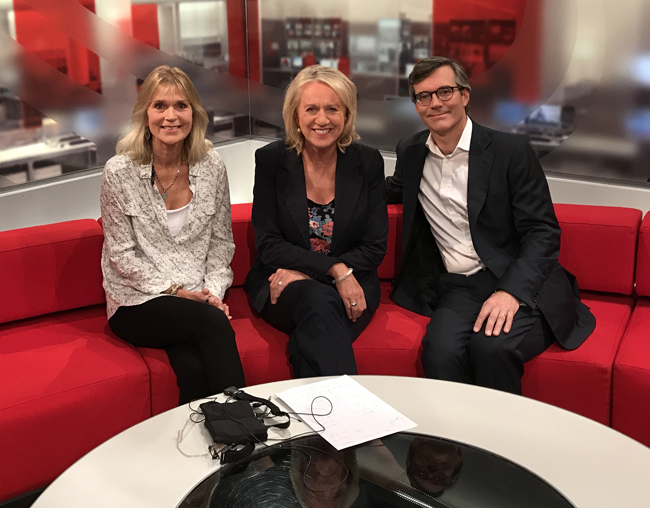 We are also delighted to share with you that Sally Taylor from BBC South Today, invited us to appear on her show in support of this amazing and brave group of friends. Please watch it tonight, Wednesday 13th at 6.30pm. We are so grateful to everyone who is helping us raise funds to support the many initiatives we are continuing to sponsor to connect children and nature. Up-date and news to follow. With much love and thanks for all your support.